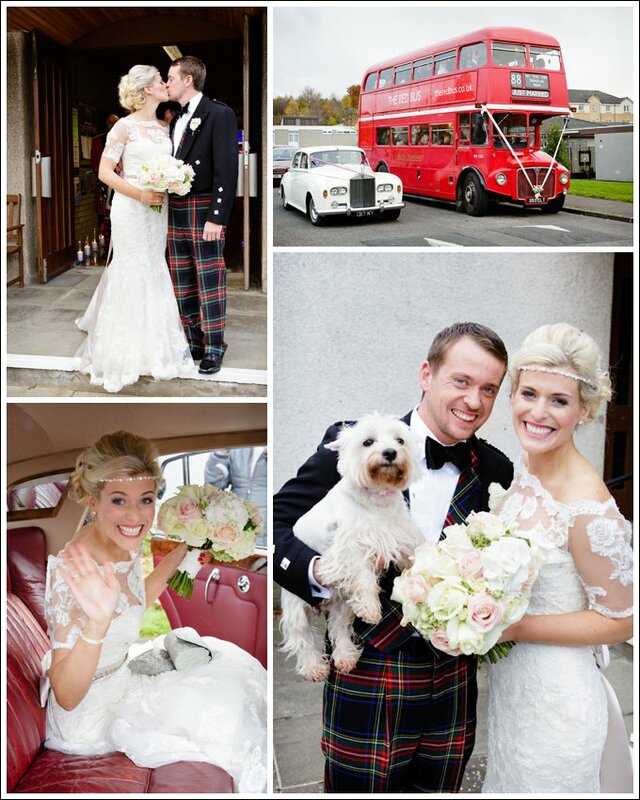 10/11/12 – An unforgettable date. 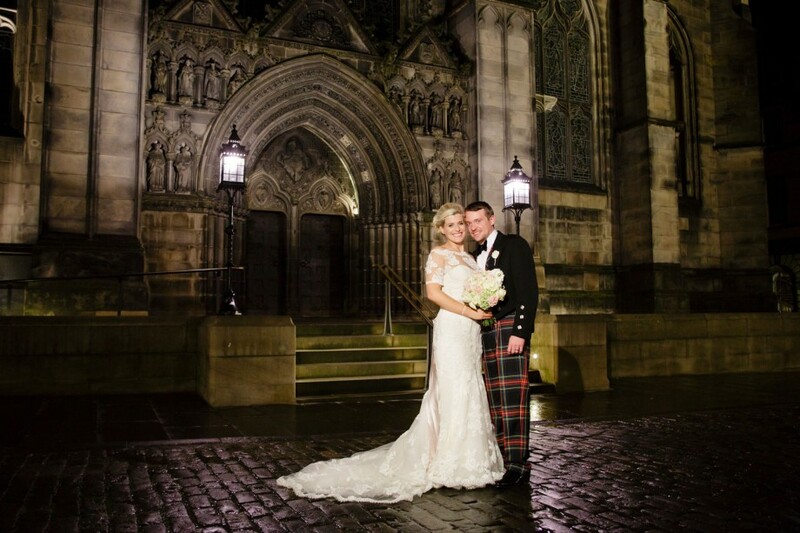 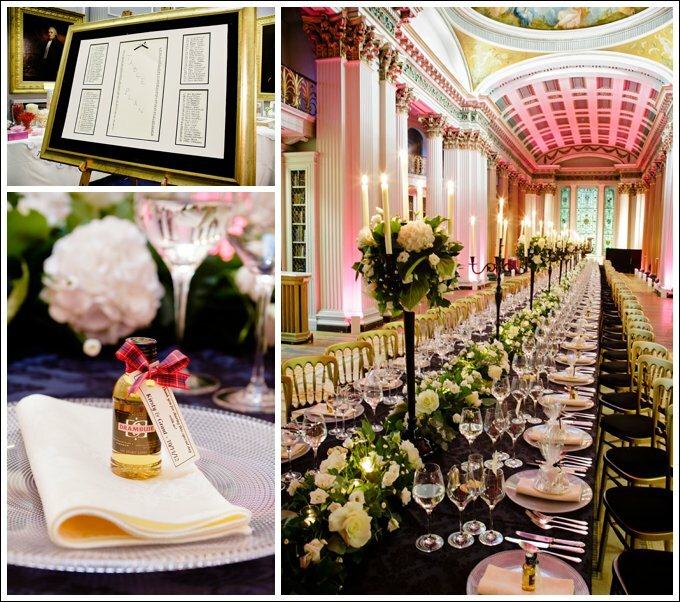 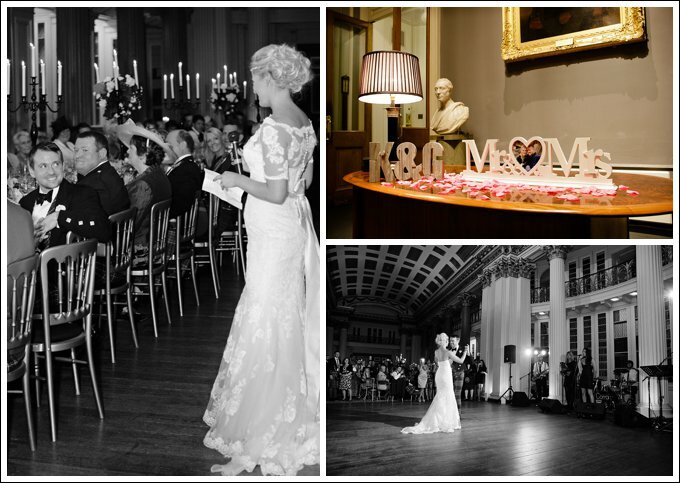 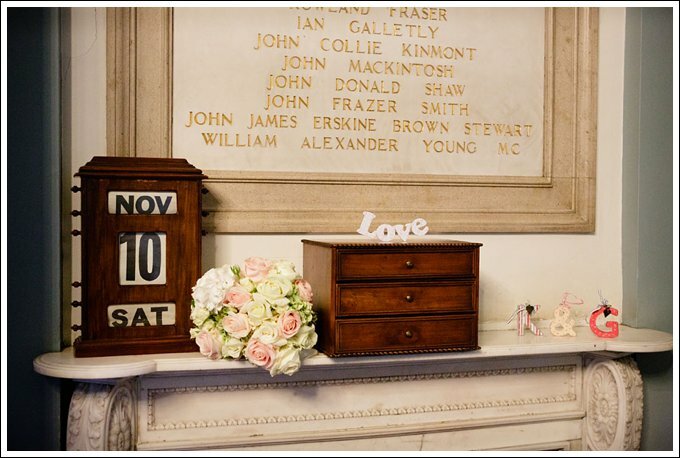 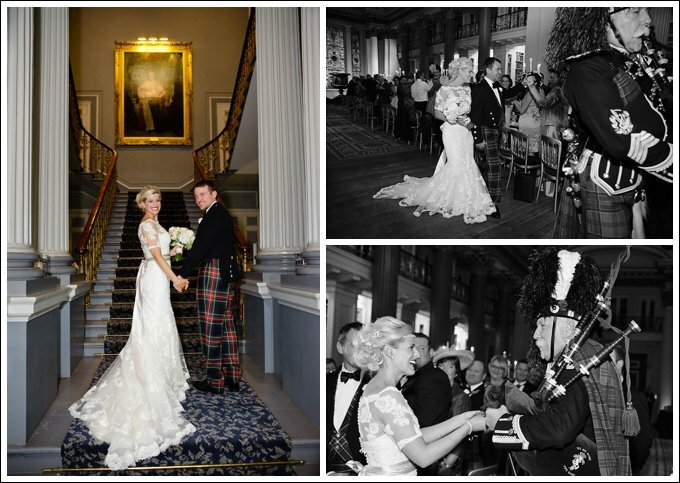 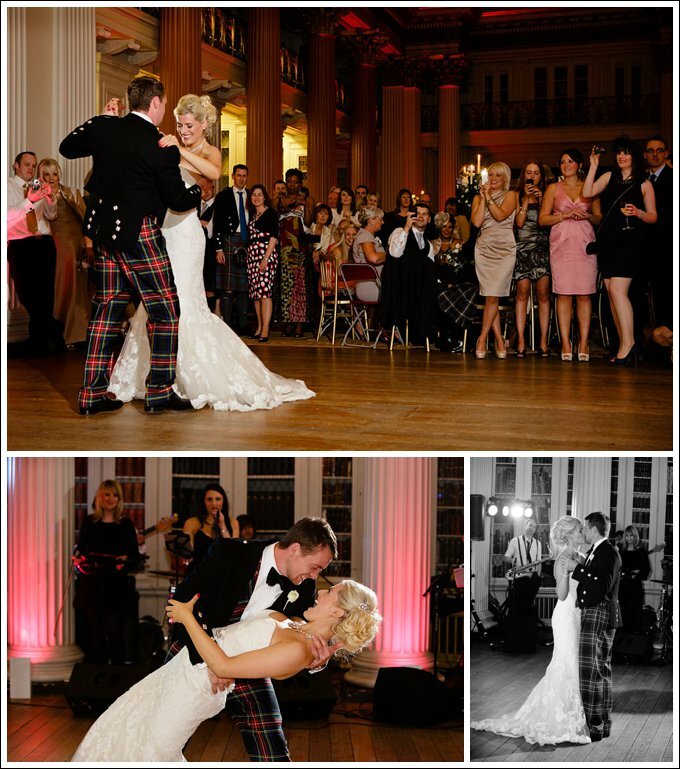 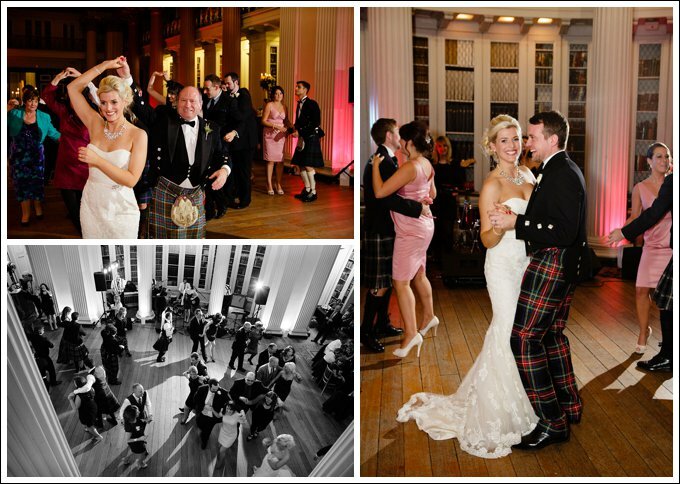 It was the beautiful winter wedding of Kirsty and Grant at the magnificent Signet Library, in the heart of Edinburgh’s old town. 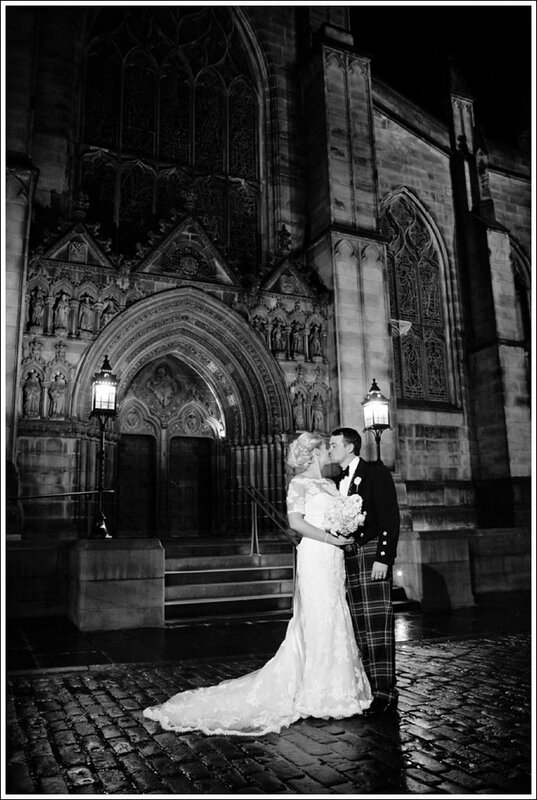 It was a privilege to be invited to photograph their wedding, as Kirsty is the daughter of the famous Pipe Major Iain Grant. 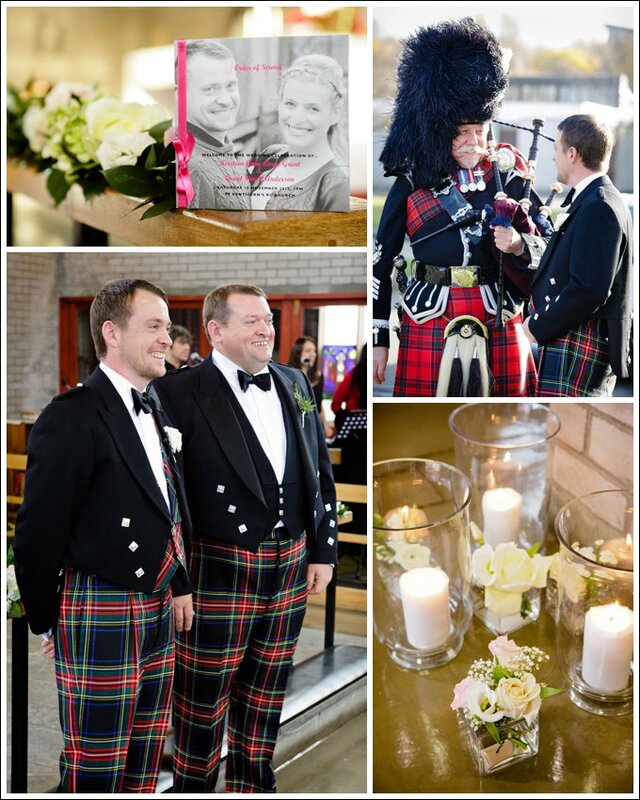 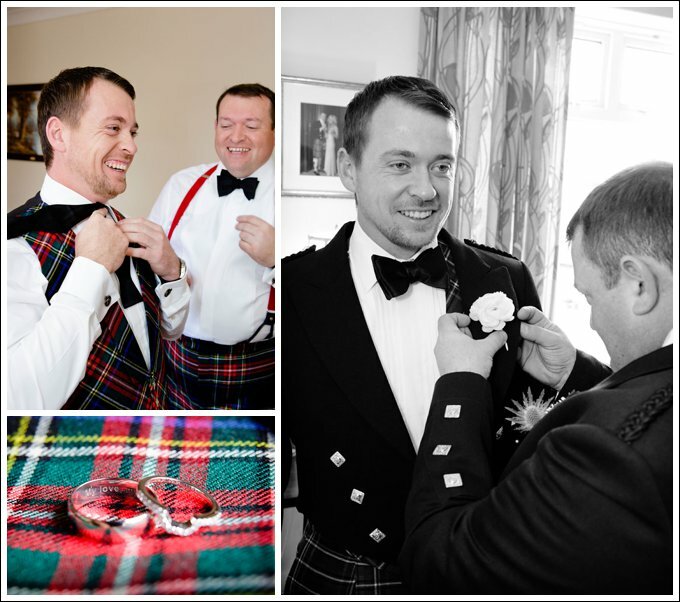 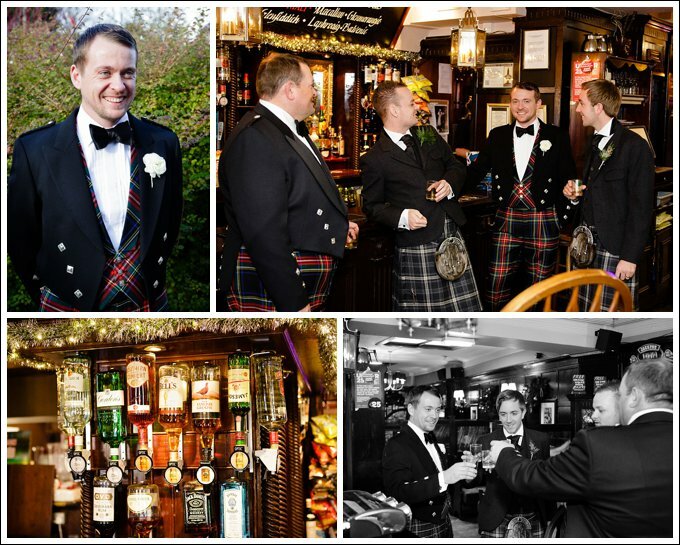 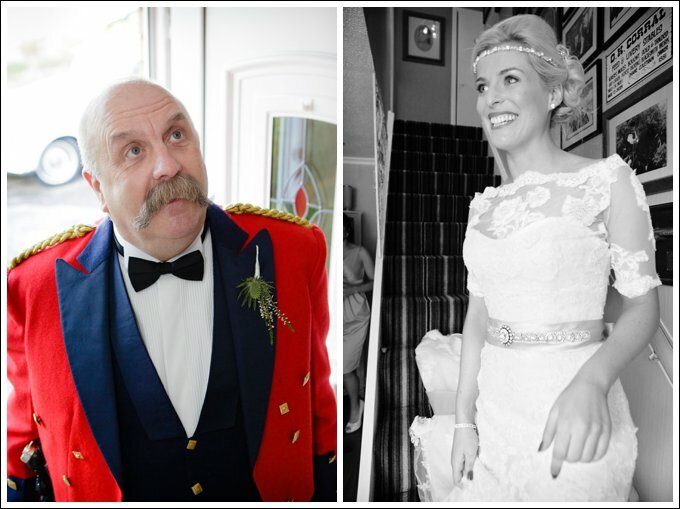 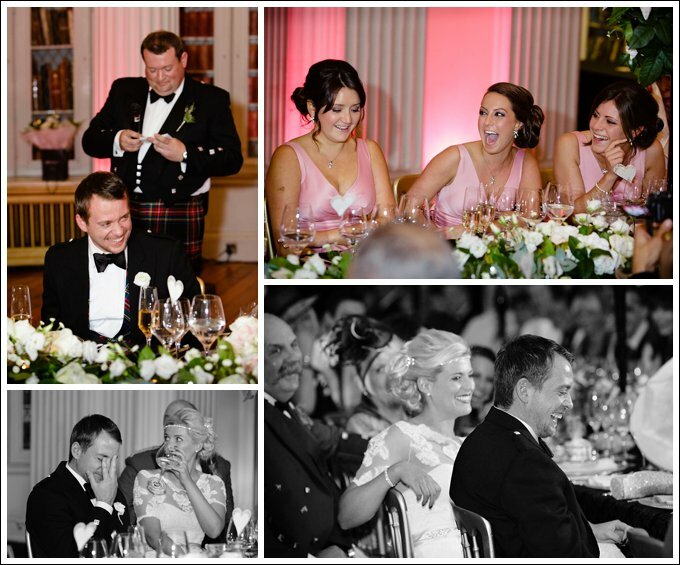 We have photographed Iain piping on many occasions – today he would be playing a different role as the proud Father of the Bride. 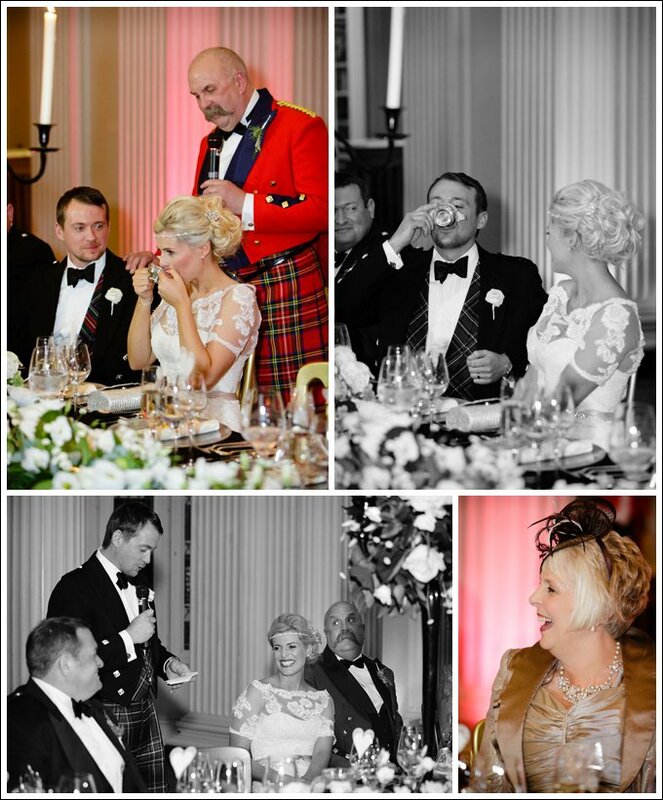 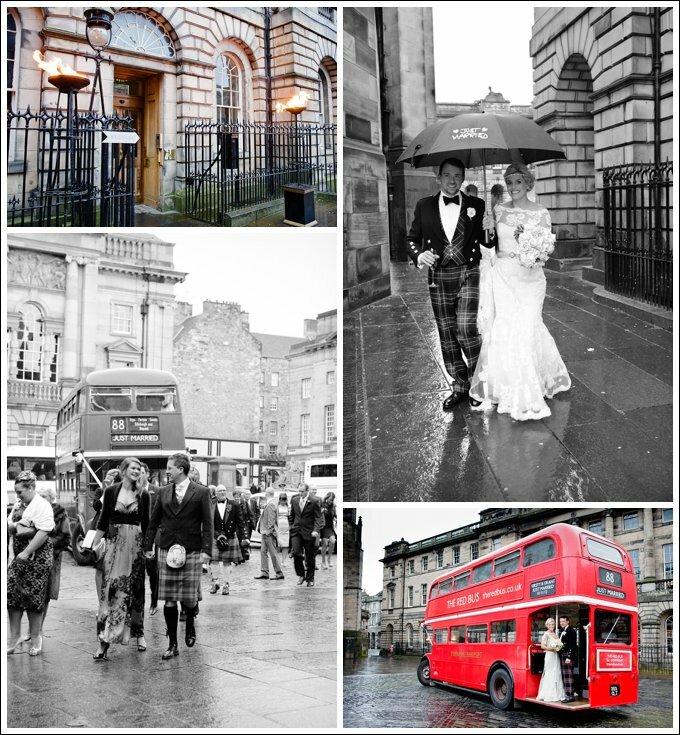 After the ceremony the guests travelled to the reception on the Royal Mile by vintage red bus. 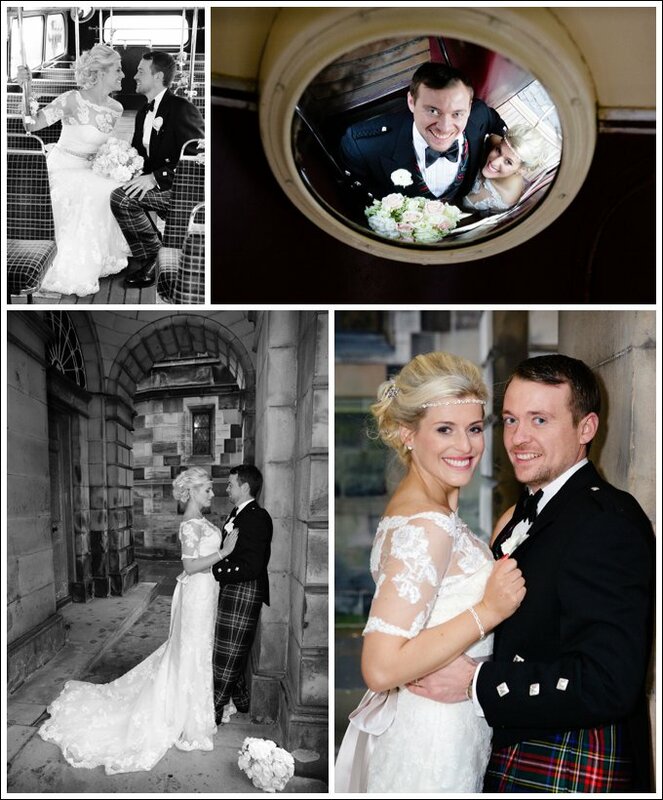 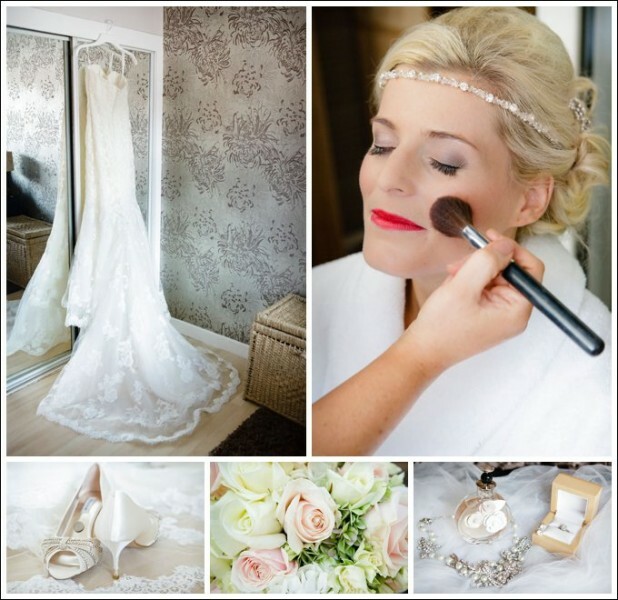 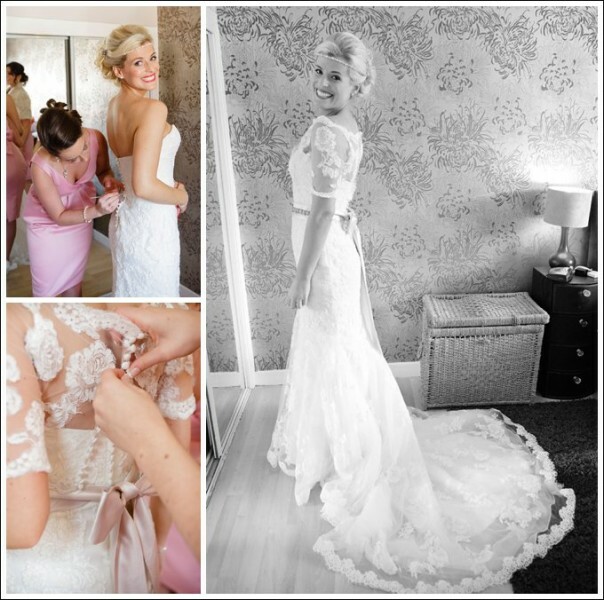 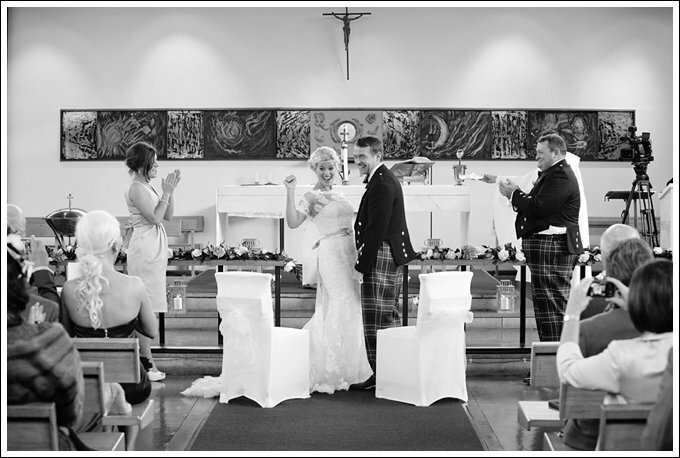 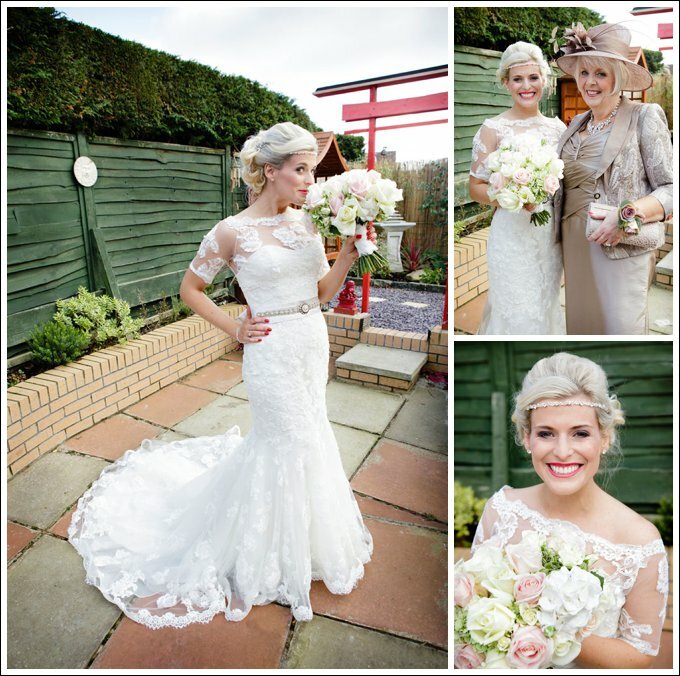 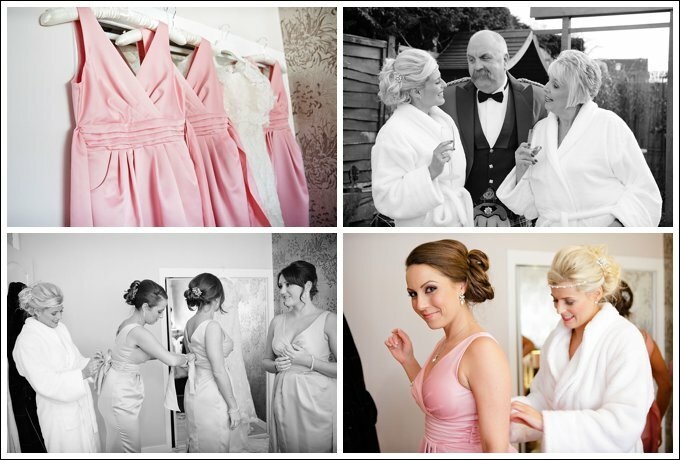 Kirsty & Grant had added many personal details to their reception, such as the collection of family wedding photographs and a framed picture from their pre-wedding photo shoot for all the guests to sign. 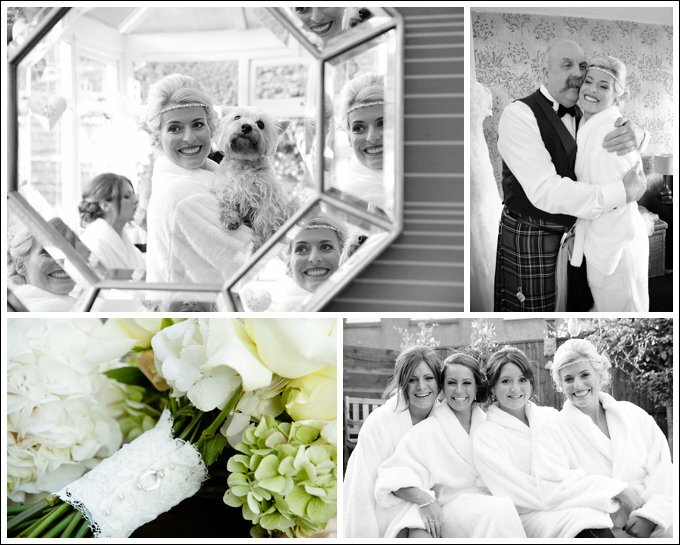 Their wedding invitations also incorporated pictures from their pre-wedding shoot. 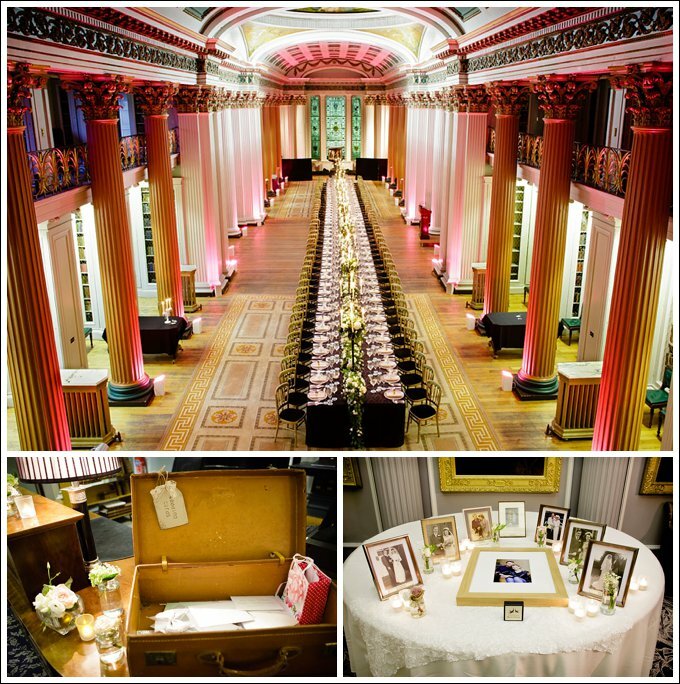 Kirsty and Grant chose a dramatic long table setting in the Upper Library. 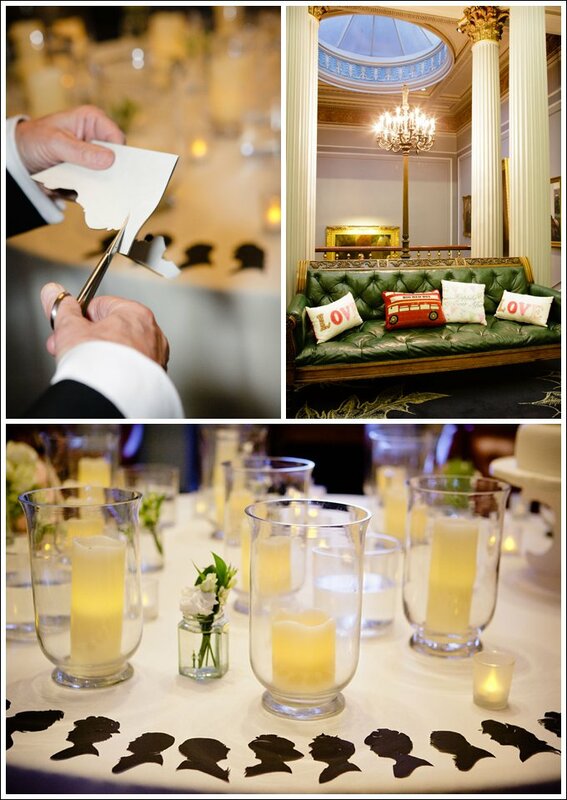 And a unique feature we’ve never seen before was a silhouette artist, who cut out guest’s portraits.